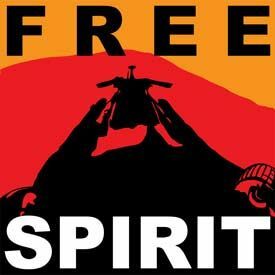 NASA's logo for its new "Free Spirit" Web site to publicize efforts to save the stuck Mars rover Spirit. The plucky Marsrover Spirit has a whole team of NASA engineers on Earth trying to find anescape route out of the Martian sand dune that has snared the robot for weeks,and now it has a Web site. NASA?s Jet Propulsion Laboratory (JPL) in Pasadena, Calif., launched the Website ?Free Spirit? (http://www.jpl.nasa.gov/freespirit/) this week to chronicle the spaceagency?s efforts to rescueSpirit from its sandy Martian prison. It comes complete with a dramaticlogo. ?Peoplereally like the whole ?free Spirit,? idea and we thought we should make itreally easy for people to find updates,? said Veronica McGregor, a NASAspokesperson at JPL. ?In a way, we?re trying to make it a campaign thateveryone can get involved in.? The seedfor NASA?s Free Spirit site was planted in comments and inquiries McGregorreceived on the agency?s Mars rover Twitter page, she told SPACE.com. The new site joins several older NASA Web pages dedicated to the long-lived Mars rover mission, but is the first solely reserved for Spirit's sand trap problem. Spirit hasbeen stuck since May 6, when it slipped up to its wheel hubs into deep Martiansand. Snapshots of Spirit?s undercarriage revealed a rock that may be touchingthe rover, but NASA engineers believe it loose and not bearing any of the robot?sweight. ?This is avery tough situation and we?re not sure we can get Spirit out,? McGregor said. But theoutpouring of support for Spirit has been immense, with the public sending in suggestionsand encouragement via NASA?s social networking channels and regular writtenmail, she added. At JPL, engineershave concocted a flour-like mix of soft, fluffy material made of diatomaceousearth and Lincoln 60 fire clay, which were available at their local Home Depotstore. The mockMartian dirt mix is designed to mimic the wheel-caking properties of the actualMars sand plaguing Spirit. It is being poured into a sandbox, where anEarth-based test rover will be forced to get stuck so engineers can find a wayto get it - and by extension Spirit - out of their respective traps. ?They?remixing it up and starting to shovel it in,? McGregor said. ??Marscaping? iswhat I like to call it.? A similartechnique was used to rescue Spirit?s twin Opportunity when it bogged down in adune on the other side of Mars in 2005. But backthen, social networking Web sites like Twitter weren?t around, McGregor said. ?Opportunitywas in the same situation in 2005 and very few people knew about it,? sheadded. Opportunitywas only stuck for five weeks. Spirit is just over a week shy of the two-monthmark mired in sand. On Free Spirit, NASA is posting new images and videoupdates on Spirit?s progress, or lack of it, as it unfolds. New photographsposted Friday showed engineers stirring up their mock Mars dirt and otherMarscaping ingredients. WhileSpirit remains immobilized, it has kicked up someinteresting terrain and is studying its surroundings using cameras andother high-tech sensors. Rover scientists have dubbed Spirit?s sand trap ?Troy,?and discovered distinct layers of tan, yellow, white and dark-red sandy dirt whichresearchers are working to explain. A recentdust storm has even cleaned the Martian dust coating Spirit?s deck-mountedsolar panels, boosting the amount of power available to keep the rover alive. Spiritand Opportunity have been roving across their respective landing sites on Marssince 2004. They had launched a year earlier on an initial 90-day mission, but NASAhas since extended the expedition several times over due to their unexpectedlylong life. The mission, McGregor said, has won a strong following among thepublic. ?I thinkpart of it is just the fact that they?re on the planet and rolling around,? shesaid. ?And the other part is that they?ve lasted so much longer than anyone hasexpected. ?